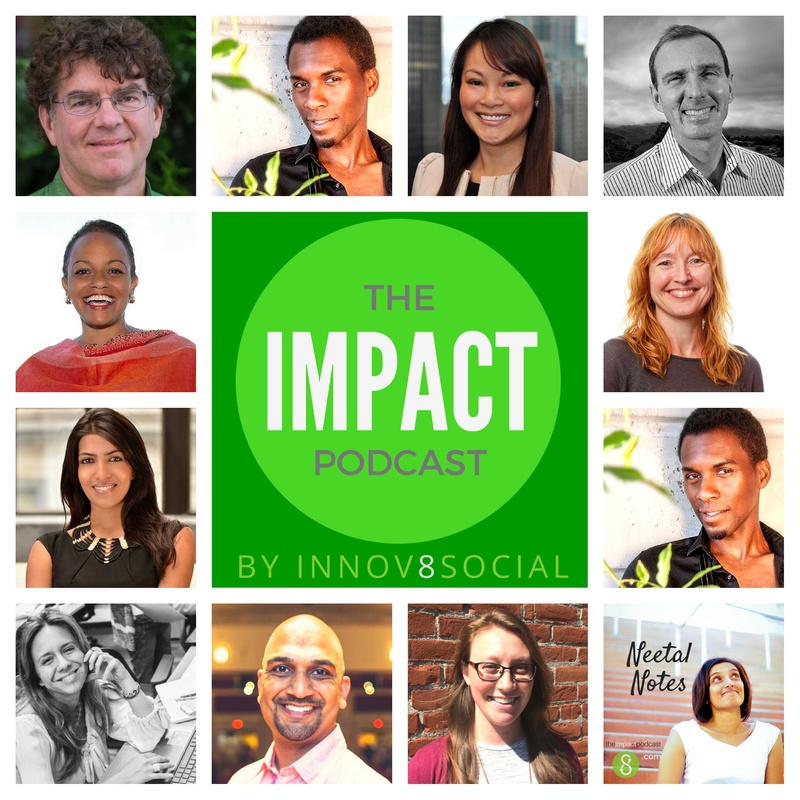 In this episode of the Impact Podcast, Innov8social founder talks to Michele Wucker, an International Affairs Expert and Author of “The Gray Rhino”. Neetal explores, Why do leaders and decision makers sometimes fail to address the obvious dangers before they spiral out of control ? Michele Wucker is a thought leader in this space, and she has written a book called “The Gray Rhino” to recognize and act on these dangers. Neetal talks to Michele Wucker, about an actionable framework to address these dangers. Michele M. Wucker is an American author, commentator and policy analyst specializing in the world economy and crisis anticipation. Michele addresses the issues with the decision making failures, from two angles. One angle comes in the form of a former journalist, who addressed the issue of sovereign debt in emerging markets. As a journalist, she has witnessed a lot of crisis, and how people reacted to those failures. The other angle comes from her experience, in working as a think tank management in Newyork during 2008. But the central question came to her during the Argentinian crisis. In 2001 when Argentinian crisis rose, the debt started going up, but economy and reserves went down. But there were people at wall street, who came up with a smart proposal to cut the debt and get it back on track. Sadly, Argentina’s denial of the fact, failed to grasp this opportunity resulted in crawling into a crisis. But a similar scenario happened with, Greece but there were people willing to talk about it and act on it. Michele wrote an article in CNBC, about the problem and there were actions on it. Private debtors came to the rescue, and also helped to the stop the Euro from falling. So Michele, feels what makes the difference here is “how you see and react” to crisis. Michele gained a lot of crisis handling experience while running the organization, in the form of outside shocks, group dynamics and systems that needs to be created. She also got to know, how to make tough choices between long and short term priorities. Michele started to see a pattern by looking at various problems like immigration, gun control policy, inequality, climate change, Syria etc. The key trend in these problems is denial, where people fail to accept the problem. But once you get past denial, you get into modelling stage, where people are willing to talk about the problem. Even though people, accept the problem they always come up with various reasons, on why they cannot deal with it. Michele found that some of these, are structural problems, like lack of diversity in group thinking, cognitive bias etc. The the next step in addressing a crisis, would be diagnosis, where people try to focus on the key problem. They analyse the problem to see how fast it is moving or whether it is recurring issue, which requires a system to be created in future. While analyzing the problem, one has to think about the upstream and downstream effects that the problem is going to create. Michele also noted that finding right perspective of a problem, is the key to address it. For example in Syria’s case, Russia sees the lack of power with Assad as the problem, whereas others look at the humanitarian issues with Assad. So assigning a right perspective, would give a right ingredient to solve the problem. The fourth stage in addressing the problem is Panic. Michele points out that, if there is plan to handle the problem then Panic can be useful in addressing the problem. And the final stage is action, and Michele feels that it is good to reach action faster rather being late and getting trampled. Michele finds that Social entrepreneurs are one of favorite group of people who try to handle a crisis. She feels that there are three ways you can handle it. One is to stuck your head in the sand, second one is make money out the problem, the third and best is figure out a solution to handle the problem. Michele feels that sustainability is one area where people try to come with efficient solutions to address the same. For example, Water scarcity is addressed differently by companies, some of them try to use them efficiently, whereas others try to clean up waste water and create renewable sources. Michele finds that the philosophy of identifying a problem, and what you can do to solve a problem with a group of helpful individuals is great. When there is not enough awareness, then Michele feels thought leadership should be brought in address the same. Another important point that Michele brings forward is, making people aware that they are a part of problem, and what they can do to be a part of the solution. Michele feels that emergence of social media helps a long way in taking denial rhino to a larger audience. For example Facebook live was helpful in addressing the truth in police shootings. With the emergence of media, it is difficult for people keep denying the fact and indulge in unethical practices. But on the flip side, it can create hatred among the community and incite violence as well. You can connect with Michele through the following ways.